Nazi eugenics (German: Nationalsozialistische Rassenhygiene, "National Socialist racial hygiene") were Nazi Germany's racially based social policies that placed the biological improvement of the Aryan race or Germanic "Übermenschen" master race through eugenics at the center of Nazi ideology. In Germany, eugenics were mostly known under the synonymous term racial hygiene. Following the Second World War, both terms effectively vanished and were replaced by Humangenetik (human genetics). Eugenics research in Germany before and during the Nazi period was similar to that in the United States (particularly California), by which it had been partly inspired. However, its prominence rose sharply under Adolf Hitler's leadership when wealthy Nazi supporters started heavily investing in it. The programs were subsequently shaped to complement Nazi racial policies. Those humans targeted for destruction under Nazi eugenics policies were largely living in private and state-operated institutions, identified as "life unworthy of life" (German: Lebensunwertes Leben), including prisoners, "degenerates", dissidents, people with congenital cognitive and physical disabilities (including people who were "feeble-minded", epileptic, schizophrenic, manic-depressive, cerebral palsy, muscular dystrophy, deaf, blind) (German: erbkranken), homosexual, idle, insane, and the weak, for elimination from the chain of heredity. More than 400,000 people were sterilized against their will, while up to 300,000 were killed under Action T4, a euthanasia program. In June 1935, Hitler and his cabinet made a list of seven new decrees, number 5 was to speed up the investigations of sterilization. The early German eugenics movement was led by Wilhelm Schallmayer and Alfred Ploetz. Henry Friedlander wrote that although the German and American eugenics movements were similar, the German movement was more centralized and did not contain as many diverse ideas as the American movement. Unlike the American movement, one publication and one society, the German Society for Racial Hygiene, represented all eugenicists. Edwin Black wrote that after the eugenics movement was well established in the United States, it was spread to Germany. California eugenicists began producing literature promoting eugenics and sterilization and sending it overseas to German scientists and medical professionals. By 1933, California had subjected more people to forceful sterilization than all other U.S. states combined. The forced sterilization program engineered by the Nazis was partly inspired by California's. In 1927, the Kaiser Wilhelm Institute for Anthropology (KWIA), an organization which concentrated on physical and social anthropology as well as human genetics, was founded in Berlin with significant financial support from the American philanthropic group, the Rockefeller Foundation. German professor of medicine, anthropology and eugenics Eugen Fischer was the director of this organization, a man whose work helped provide the scientific basis for the Nazis' eugenics policies. The Rockefeller Foundation even funded some of the research conducted by Josef Mengele before he went to Auschwitz. You will be interested to know that your work has played a powerful part in shaping the opinions of the group of intellectuals who are behind Hitler in this epoch-making program. Everywhere I sensed that their opinions have been tremendously stimulated by American thought... I want you, my dear friend, to carry this thought with you for the rest of your life, that you have really jolted into action a great government of 60 million people. Eugenics researcher Harry H. Laughlin often bragged that his Model Eugenic Sterilization laws had been implemented in the 1935 Nuremberg racial hygiene laws. In 1936, Laughlin was invited to an award ceremony at Heidelberg University in Germany (scheduled on the anniversary of Hitler's 1934 purge of Jews from the Heidelberg faculty), to receive an honorary doctorate for his work on the "science of racial cleansing". Due to financial limitations, Laughlin was unable to attend the ceremony and had to pick it up from the Rockefeller Institute. Afterwards, he proudly shared the award with his colleagues, remarking that he felt that it symbolized the "common understanding of German and American scientists of the nature of eugenics." Adolf Hitler read about racial hygiene during his imprisonment in Landsberg Prison. Hitler believed the nation had become weak, corrupted by dysgenics, the infusion of degenerate elements into its bloodstream. The racialism and idea of competition, termed social Darwinism in 1944, were discussed by European scientists and also in the Vienna press during the 1920s. Where Hitler picked up the ideas is uncertain. The theory of evolution had been generally accepted in Germany at the time, but this sort of extremism was rare. Propaganda for Nazi Germany's T-4 Euthanasia Program: "This person suffering from hereditary defects costs the community 60,000 Reichsmark during his lifetime. Fellow German, that is your money, too." from the Office of Racial Policy's Neues Volk. In organizing their eugenics program the Nazis were inspired by the United States' programs of forced sterilization, especially on the eugenics laws that had been enacted in California. The Law for the Prevention of Hereditarily Diseased Offspring, enacted on July 14, 1933, allowed the compulsory sterilisation of any citizen who according to the opinion of a "Genetic Health Court" suffered from a list of alleged genetic disorders and required physicians to register every case of hereditary illness known to them, except in women over 45 years of age. Physicians could be fined for failing to comply. In 1934, the first year of the Law's operation, nearly 4,000 people appealed against the decisions of sterilization authorities. A total of 3,559 of the appeals failed. By the end of the Nazi regime, over 200 Hereditary Health Courts (Erbgesundheitsgerichte) were created, and under their rulings over 400,000 persons were sterilized against their will. The Hadamar Clinic was a mental hospital in the German town of Hadamar used by the Nazi-controlled German government as the site of Action T4. The Kaiser Wilhelm Institute of Anthropology, Human Heredity, and Eugenics was founded in 1927. Hartheim Euthanasia Centre was also part of the euthanasia programme where the Nazis killed individuals they deemed disabled. 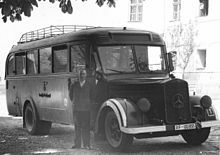 The first method used involved transporting patients by buses in which the engine exhaust gases were passed into the interior of the buses, and so killed the passengers. Gas chambers were developed later and used pure carbon monoxide gas to kill the patients. In its early years, and during the Nazi era, the Clinic was strongly associated with theories of eugenics and racial hygiene advocated by its leading theorists Fritz Lenz and Eugen Fischer, and by its director Otmar von Verschuer. Under Fischer, the sterilization of so-called Rhineland Bastards was undertaken. Grafeneck Castle was one of Nazi Germany's killing centers, and today it is a memorial place dedicated to the victims of the Action T4. The Law for Simplification of the Health System of July 1934 created Information Centers for Genetic and Racial Hygiene, as well as Health Offices. The law also described procedures for 'denunciation' and 'evaluation' of persons, who were then sent to a Genetic Health Court where sterilization was decided. Information to determine who was considered 'genetically sick' was gathered from routine information supplied by people to doctor's offices and welfare departments. Standardized questionnaires had been designed by Nazi officials with the help of Dehomag (a subsidiary of IBM in the 1930s), so that the information could be encoded easily onto Hollerith punch cards for fast sorting and counting. In Hamburg, doctors gave information into a Central Health Passport Archive (circa 1934), under something called the 'Health-Related Total Observation of Life'. This file was to contain reports from doctors, but also courts, insurance companies, sports clubs, the Hitler Youth, the military, the labor service, colleges, etc. Any institution that gave information would get information back in return. In 1940, the Reich Interior Ministry tried to impose a Hamburg-style system on the whole Reich. After the Nazis passed the Nuremberg Laws in 1935, it became compulsory for both marriage partners to be tested for hereditary diseases in order to preserve the perceived racial purity of the Aryan race. Everyone was encouraged to carefully evaluate his or her prospective marriage partner eugenically during courtship. Members of the SS were cautioned to carefully interview prospective marriage partners to make sure they had no family history of hereditary disease or insanity, but to do this carefully so as not to hurt the feelings of the prospective fiancee and, if it became necessary to reject her for eugenic reasons, to do it tactfully and not cause her any offense. ^ "Close-up of Richard Jenne, the last child killed by the head nurse at the Kaufbeuren-Irsee euthanasia facility". United States Holocaust Memorial Museum. Retrieved January 26, 2019. ^ Proctor, Robert (1988-01-01). Racial Hygiene: Medicine Under the Nazis. Harvard University Press. ISBN 9780674745780. ^ Weiss, Sheila (1987). Race Hygiene and National Efficiency: The Eugenics of Wilhelm Schallmayer. University of California Press. Wilhelm Schallmayer (1857-1919) who, along with Alfred Ploetz (1860-1940), founded German eugenics. ^ a b c Friedlander, Henry (2000). The Origins of Nazi Genocide: From Euthanasia to the Final Solution. Univ of North Carolina Press. p. 13. ISBN 978-0807846759. Although the German eugenics movement, led until the Weimar years by Alfred Ploetz and Wilhelm Schallmayer, did not differ radically from the American movement, it was more centralized. Unlike in the United States, where federalism and political heterogeneity encouraged diversity even with a single movement, in Germany one society, the German Society for Race Hygiene (Deutsche Gesellschaft fue Rassenhygiene), eventually represented all eugenicists, while one journal, the Archiv fur Rassen- und Gsellschafts Biologie, founded by Ploetz in 1904, remained the primary scientific publication of German Eugenics. ^ a b c d Edwin Black (November 9, 2003). "Eugenics and the Nazis -- the California connection". San Francisco Chronicle. Retrieved February 3, 2017. ^ Gretchen E. Schafft, From Racism to Genocide: Anthropology in the Third Reich (Urbana and Chicago: University of Illinois Press, 2004), pp. 48-54. ^ Robert S. Wistrich, Who's Who In Nazi Germany (New York: Routledge, 2001), p. 60. ^ In 1933, Adolf Hitler appointed Fischer rector of Frederick William University of Berlin, now Humboldt University. See: "Rektoratsreden im 19. und 20. Jahrhundert – Online-Bibliographie", der ehemalige Friedrich-Wilhelms-Universität Berlin. ^ Lombardo, Paul A. (2008). Three Generations, No Imbeciles: Eugenics, the Supreme Court, and "Buck v. Bell". JHU Press. pp. 211–213. ISBN 9780801890109. ^ Friedman, Jonathan C. (2011). The Routledge History of the Holocaust. Taylor & Francis. p. 49. ISBN 978-0-415-77956-2. Retrieved 1 August 2011. ^ Evans, Richard J. (2005). The Third Reich in Power. Penguin Press. p. 429. ISBN 978-1-59420-074-8. Retrieved 1 August 2011. ^ O'Mathúna, Dónal P (2006). "Human dignity in the Nazi era: implications for contemporary bioethics". BMC Medical Ethics. 7: E2. doi:10.1186/1472-6939-7-2. PMC 1484488. PMID 16536874. ^ In 1876 Haeckel had discussed the selective infanticide policy of the Greek city of ancient Sparta. Haeckel, Ernst (1876). "The History of Creation, vol. I". New York: D. Appleton. p. 170. Among the Spartans all newly born children were subject to a careful examination or selection. All those that were weak, sickly, or affected with any bodily infirmity, were killed. Only the perfectly healthy and strong children were allowed to live, and they alone afterwards propagated the race. ^ Hitler, Adolf (1961). Hitler's Secret Book. New York: Grove Press. pp. 17–18. ISBN 0-394-62003-8. OCLC 9830111. ^ Hawkins, Mike (1997). Social Darwinism in European and American Thought, 1860-1945: nature as model and nature as threat. Cambridge University Press. p. 276. ISBN 0-521-57434-X. OCLC 34705047. ^ Robert Proctor, Racial Hygiene: Medicine Under the Nazis (Cambridge, Massachusetts: Harvard University Press, 1988): 108. ^ Knittel, S. "Remembering Euthanasia: Grafeneck in the Past, Present, and Future." B. Niven & C. Paver [eds]. Memorialization in Germany since 1945. New York: Palgrave MacMillan, 2010: 124-133. Snyder, S. & D. Mitchell. (2006). Cultural Locations of Disability. University of Michigan Press. Bachrach, S. (2004). "In the name of public health — Nazi racial hygiene". New England Journal of Medicine. 351 (5): 417–420. doi:10.1056/nejmp048136. PMID 15282346. Biddiss, M. (Jun 1997). "Disease and dictatorship: the case of Hitler's Reich". Journal of the Royal Society of Medicine. 90 (6): 342–6. PMC 1296317. PMID 9227388. Cranach, M. (2003). "The killing of psychiatric patients in Nazi Germany between 1939-1945". The Israel Journal of Psychiatry and Related Sciences. 40 (1): 8–18. PMID 12817666. Lerner, B. (May 1995). "Medicine and the Holocaust: Learning More of the Lessons". Annals of Internal Medicine. 122 (10): 793–794. doi:10.7326/0003-4819-122-10-199505150-00010. Knittel, Suzanne., ""Remembering Euthanasia: Grafeneck in the Past, Present, and Future", B. Niven & C. Paver [eds.]. Memorialization in Germany Since 1945. New York: Palgrave MacMillan, 2010: 124-133, ISBN 978-0230207035, 30. Martin III, Matthew D., "The Dysfunctional Progeny of Eugenics: Autonomy Gone AWOL", Cardozo Journal of International Law, Vol. 15, No. 2, Fall 2007, pp. 371–421, ISSN 1069-3181. O'Mathúna, D. (Mar 2006). "Human dignity in the Nazi era: implications for contemporary bioethics". BMC Medical Ethics. 7 (1): E2. doi:10.1186/1472-6939-7-2. PMC 1484488. PMID 16536874. Sofair, A. (Feb 2000). "Eugenic sterilization and a qualified Nazi analogy: the United States and Germany, 1930-1945" (PDF). National Center for Biotechnology Information. 132 (4): 312–9. doi:10.7326/0003-4819-132-4-200002150-00010. Strous, R. D. (2006). "Nazi Euthanasia of the Mentally Ill at Hadamar". American Journal of Psychiatry January 2006; 163: 27. Weigmann, K. (2001). "The role of biologists in Nazi atrocities: lessons for today's scientists". European Molecular Biology Organization. 2 (10): 871–875. doi:10.1093/embo-reports/kve217. PMC 1084095. PMID 11600445. "Eugenical Sterilization in Germany" Eugenical News 1933, Cold Spring Harbor Laboratory; vol.18:5. Burleigh, M. (1991). Selling Murder: The Killing Films of the Third Reich. London: Domino Films. Michalczyk, J.J. (1997). Nazi Medicine: In The Shadow Of The Reich. New York: First-Run Features. Wikimedia Commons has media related to Nazi eugenics.